Close fitting for helmet compatibility. 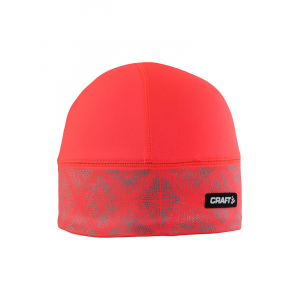 Warm and reflective hat for dark winter runs. 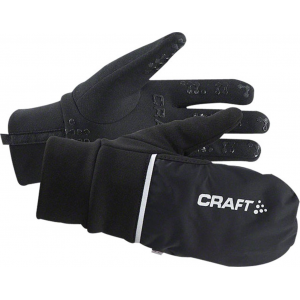 2-in-1 glove with brushed inside with wind- and waterproof cover. 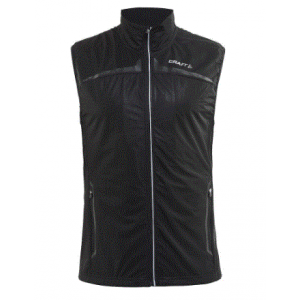 Highly functional vest with windproof front and elastic, ventilating back. For cool-weather runs, the Active Comfort RN Long-Sleeve Shirt from Craft keeps you dry, warm and comfortable. Soft like your favorite flannel and stitched from fabric that actively pulls sweat away from your skin, the Craft Active Crewneck shirt is made with chilly tempo runs and nippy hill-climbs in mind. The Craft Active Extreme Crew-Neck long underwear top uses lightweight, elastic fabric that's channel-knit to trap air and provide warmth. The fabric is non-bulky and packs a wallop of warmth. 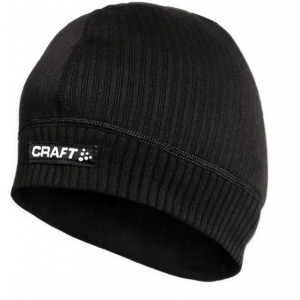 The Craft Active Extreme Sport Crew Top wicks moisture away from your skin and dries quickly so you can stay comfortable and focused on the athletic task at hand. The Craft Active Extreme Sport long-underwear bottoms wick moisture away from your skin and dry quickly so you can stay comfortable and focused on the athletic task at hand. 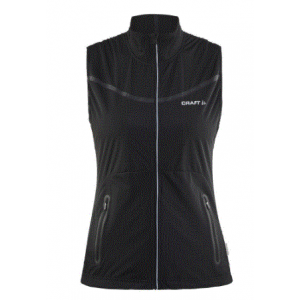 The Craft Active Extreme Sport zip-neck shirt is cooling and warming at the same time, utilizing a 2-layer fabric that insulates while wicking moisture, making it ideal for stop-and-go activities. Craft Active long underwear bottoms help you stay dry and comfortable while you're active through ventilating fabric with great moisture transport properties. The Craft Active WS Gunde shorts offer protection and comfort when you're cross-country skiing in fair and windy conditions. Stay warm and protect yourself from the wind as you run or work out outdoors in the men's Craft Brilliant 2.0 Thermal Wind Top. Thumbholes extend the warm coverage to your hands. Knit with fabric that shields your skin from the sun, the Craft Classic bike jersey gets you race ready with an ergonomic fit made for warm trail rides and long sessions spent hammering in the saddle. Made for long workouts in warm conditions, the men's Craft Cool Seamless t-shirt is mapped with venting mesh panels that let moisture escape when you're sprinting hard or eking out another rep.